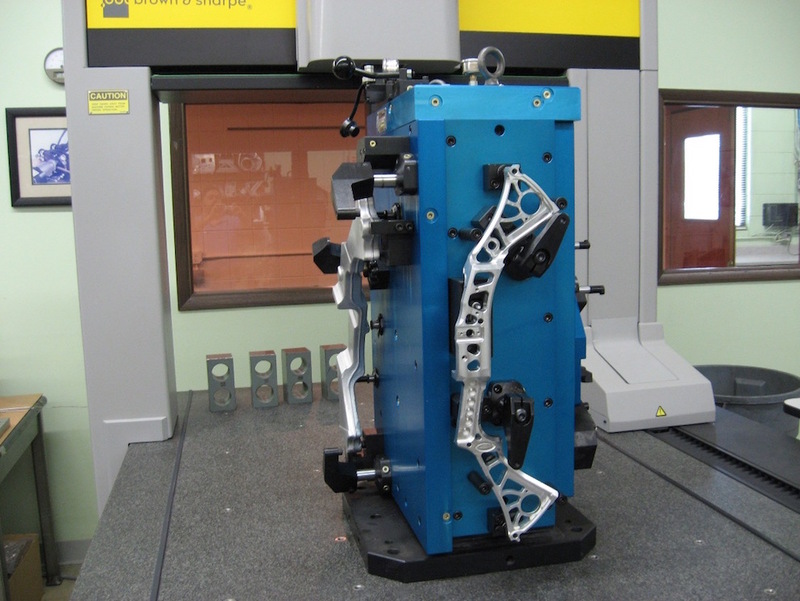 Arrow engineers have developed innovative methods to locate, clamp, and support even the most delicate parts. 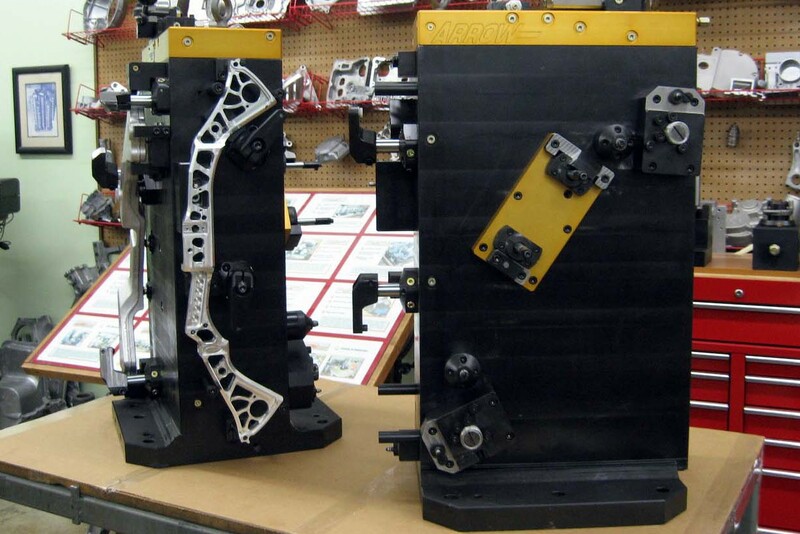 Sequencing and pressure reduction are tools available to engineers designing hydraulic fixtures. Using their years of experience our engineers can design a hydraulic circuit to hold your part perfectly every time. We prefer to design our hydraulic fixtures with internal plumbing. The tombstones become giant manifold blocks with a network of long gundrilled holes that supply the clamps and work supports from inside. 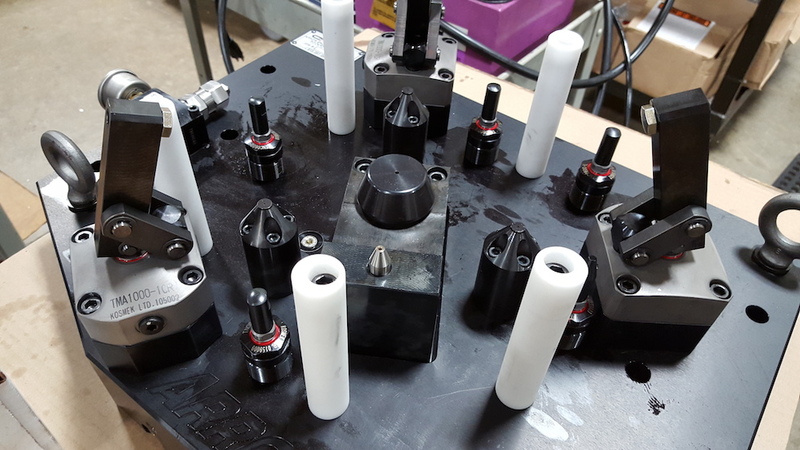 This eliminates the messy steel tubing that typically surrounds a hydraulic fixture leaving a clean space for your operator and programmer to work. Fixtures that are internally plumbed, using manifold mounted components are more reliable, easier to use, and easier to maintain.